This past year, our worship leader collective read through the book True Worship by Vaughan Roberts. If you haven’t gotten the opportunity to read it, it’s a book I highly recommend. Here is one quote that challenged me in life and ministry. I hope it does the same for you. Roberts, Vaughan (2013-12-01). True Worship (Kindle Locations 311-315). Authentic Media. Kindle Edition. If our church services include more obscure biblical truths than the Gospel, our people will be deprived of living in the freedom it provides. If we revolve around self-help instead of the extravagance of God’s grace, legalism may slowly take over. The Gospel and all that God has done for us must remain right at the center of our services. Without this, life change isn’t even possible. God’s grace enables God to come to us through Word and Sacrament, for us to minister to each other for the building up of the church, and respond to God through prayer and praise. None of this can happen apart from what God has done for us through the Gospel. 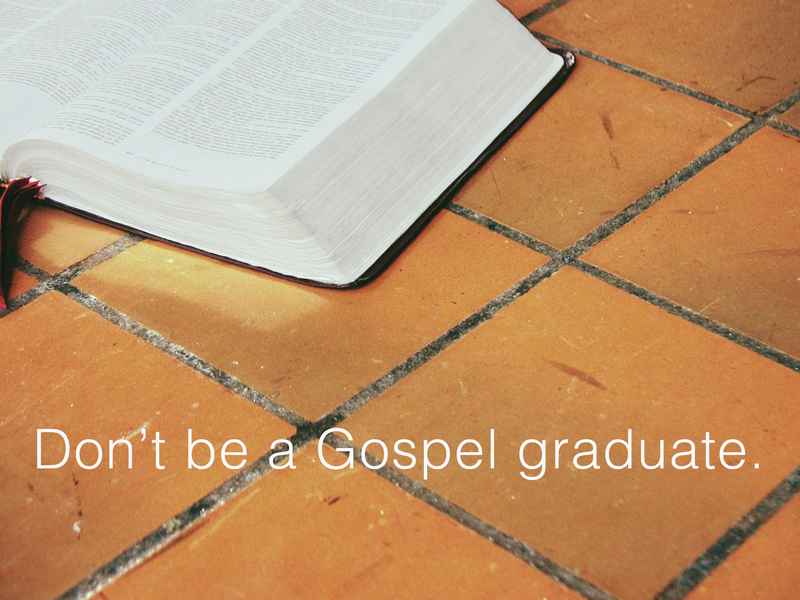 In much the same way that our worship services are molded by the Gospel, our lives are too. Over the course of my 30 years on this planet, I have found my inner pharisee rising up many times. When we are not rooted in and reminded of what God has done for us, our humanity and sinful nature responds in two ways. We get beat down by our many short comings, or, conversely, we get puffed up and proud of the many things “we” have done right and the knowledge we have gained. When we come face to face with the truth of the Gospel, we learn that even our greatest works are utterly broken because of sin and we are comforted in knowing that Jesus paid for every requirement, failure, and shortcoming on the cross. There’s peace and rest for those who are under the Gospel. Everyday, go back to the Gospel and experience all that it has for you. Let it shape and mold you. God has done more for you than you could ever think or imagine.